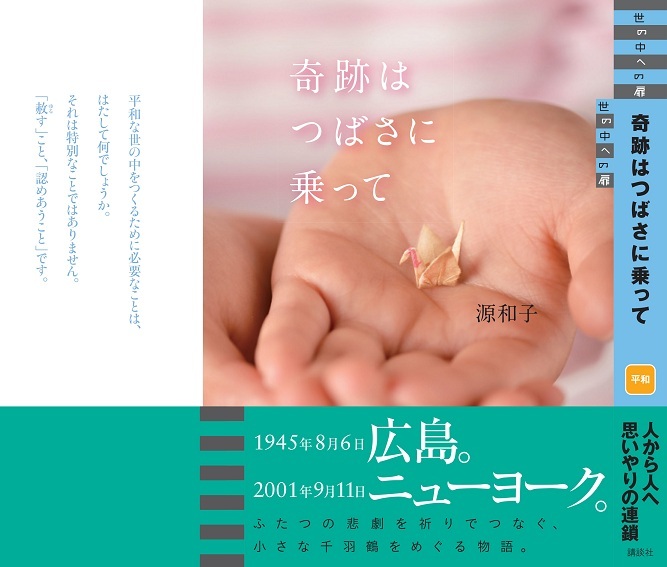 My first book about Sadako’s paper cranes being donated to various places in the world including the 9/11 Tribute Center in NY and Pearl Harbor in Hawaii has just been released by Kodansha Publishing Co. in Japan. The book also features Harry Truman’s grandson’s visit to Hiroshima and Nagasaki, friendship between former Kamikaze pilots and U.S. veterans and more amazing true stories! The book is in Japanese and also sold online. Click the link above.